The below scholarships are for Exam Prep Courses or CPR only. Express Training Services has been very successful over the past few years. This success has come from our loyal and well-qualified instructors and our wonderful students. Our instructors put their personal time into everything they do and our students go out and represent Express Training very well every day. Express Training would like to give back a little and offer some opportunities to people who need a helping hand to realize not only their life goals, but their potential as well. There are many people we would like to thank. Students who represent us well, our incredible staff, the wonderful staff at agencies like Florida Crown in Lake City, Florida Works in Gainesville, Catholic Charities in Gainesville, Shands Hospital, and Childhood Development Services in Ocala. Express Training Services would like to establish an annual scholarship for a deserving student in every location in which we teach. Our Eastside High School, Gainesville office, Ocala office, Ft. Myers office and Lake City office will all have a scholarship named after a deserving person and will be sponsored by Express Training Services. We are still working through some of the details on the scholarships, which is why they are not all listed below. Trying to find one person or group as the sole representation is not an easy task. Keep checking though, and you may find additional scholarships listed. We at Express Training Services would like to invite outside parties or organizations the opportunity to provide their own scholarships. Just email tony@expresstrainingservices.com the details, and how it will be funded and it can be set up. This is a wonderful way of giving back. Scholarships can be one-time offers or annual events, and can also be partially funded. Sylvia Walker is a counselor at Eastside High School in Gainesville, Florida. She was instrumental in getting the first class for nursing assistants started at EHS. She worked tirelessly, and often on her own time, to disseminate information to prospective students, attend funding meetings, collect the required documents from students and do anything else needed to make the first class a success. She also set the best example to all the students with not only her actions and beliefs, but also her accomplishments. Express Training Services would like to honor her by awarding an annual scholarship, in perpetuity, to a deserving student. Who: The scholarship will be given to a high school student who would like to make a difference and not just a living. The student must be eligible to take the state exam and receive nursing assistant certification (on course for graduating high school and have no background issues). When: The scholarship will be awarded in March of every year. If there is a class conducted at a high school, the scholarship will be given to one of those students. If not, then it will be awarded to the most qualified applicant who wishes to take the class elsewhere. What: The scholarship will cover the student’s nursing assistant exam prep class, state exam fees, book, uniform, CPR class and First Aid class. Essay, 1 page in length, describing why applicant should be awarded scholarship. All applicants will receive notification in writing, either via email or regular mail. Winning applicant will be required to write a thank you note to Ms. Walker before class can be scheduled. Miriam Simmons is one of the owner’s (Tony’s) grandmother. She has been an inspiration to everyone she has been in contact with her whole life. She was born in 1912, never knew her father, and had many obstacles in her life. She has never let an obstacle deter her or even slow her down. She opened her own business at a time where it was incredibly rare for a woman to work at all. She made the business very successful and ran it for over 50 years. Whenever we teach a class, we always try to decide who will make the best CNA. The answer is, “who would we trust to take care of my grandmother?”, and Miriam Simmons is the one who inspired this questions. She continues to inspire to this day. Express Training Services would like to honor Miriam Simmons by awarding an annual scholarship, in perpetuity, to a deserving student who wishes to take the class at the Gainesville location. Who: The scholarship will be given to a female applicant who has overcame obstacles and wants to improve herself. 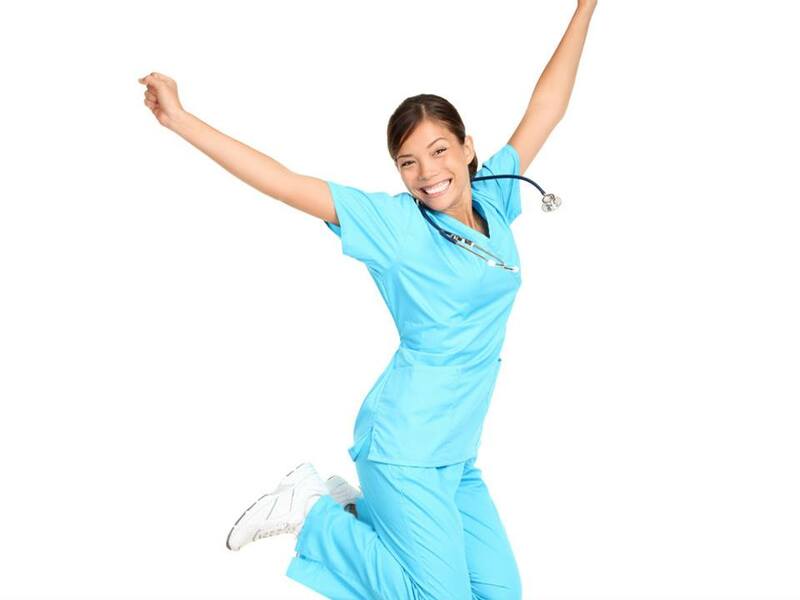 The student must be eligible to take the state exam and receive nursing assistant certification (i.e. have no background issues). When: The scholarship will be awarded in August of every year. The student must take the class at our Gainesville location. All applicants will receive notification in writing, either via email or regular mail. Winning applicant will be required to write a thank you note to Ms. Simmons before class can be scheduled. Larry and Margherita Ramsay are one of the owner’s (Sherri’s) parents. They have been married for almost 50 years and have been involved in the health care industry since 1971 as owner/administrators of skilled nursing facilities. They are both leaders by nature and have an ability to make people around them feel special. Their outlook on the dynamics of health care in their facilities was to “give the staff the tools and knowledge to provide the best quality of care possible and all else will fall into place”. They managed up to 200 employees in skilled nursing facilities for over 30 years. Many of the nurses and CNAs worked with them the entire time . The staff wanted to work hard to give quality care because they knew that they were appreciated by, not only the residents and families, but their managers as well. This type of environment is what led Sherri into the health care field. The Ramsay’s always offered their employees educational opportunities to advance in their careers. Express Training Services would like to honor the Ramsays by awarding an annual $800 scholarship, in perpetuity, to a deserving individual who wishes to take a full certification course offerred in one of the Express Training offices in Florida. Who: The scholarship will be given to an individual who wishes to take a full certification course. The student must be eligible to take the state or national exam (i.e. have no background issuesl). Applicants with interest in pursuing further medical education, certification and/or licensure are preferred. When: The scholarship will be awarded in May of every year. The deadline for receipt of the application is April 15. The student can take the class at any Express Training location, in Florida or Texas. What: The scholarship will cover the student’s class, national or state exam fees, book, and other study guides. This schoalrship can only be used for the nursing assistant or phlebotomy exam prep classes. All applicants will receive notification in writing, either via email or regular mail. Winning applicant will be required to write a thank you note to Mr. and Mrs. Ramsay before class can be scheduled. The owners have always had their children involved in sports. They have been involved with some good coaches and some bad coaches. Unfortunately, most of the coaches have had something in common; they are not CPR certified. Oftentimes, sports are played in remote locations, and EMT services may take a long time to arrive. We have offered our kids coaches free CPR classes and have been told repeatedly that the coaches do not have enough time to take classes like that. Though unlikely, one dead or seriously injured player or coach would make one wish they had taken the time. Who: The scholarship will be offered to any pair of coaches who wish to take the CPR and First Aid Class. When: This offer is in effect for any pair of coaches, at any time. What: The scholarship will cover one coach’s class if the other coach pays the full price. Basically a buy one get one free deal. 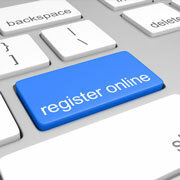 How to apply: Just call or email to register the two coaches, and you can be scheduled for the next available class.